Sharkoon introduced the Vaya Value Edition, a new case series with USB 3.0 support and a side window. The cases are available in all-black and all-white designs, retail pricing is said to be 39.90EUR. 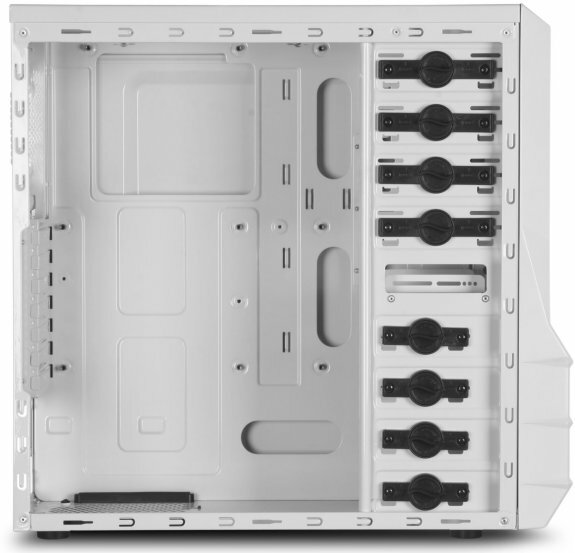 In July, Sharkoon presented a competitive priced ATX case with the introduction of the 25 euro Sharkoon Vaya model. Now a Value Edition with a USB3.0 interface and side window is provided. The Value Edition replaces one of the two USB2.0 ports on the standard design with a SuperSpeed USB3.0 interface. In lieu of the side air intake with pre-drilled air holes, the Value Edition offers a large acrylic side window, allowing insight into the PC while the internal illumination is benefiting operation. 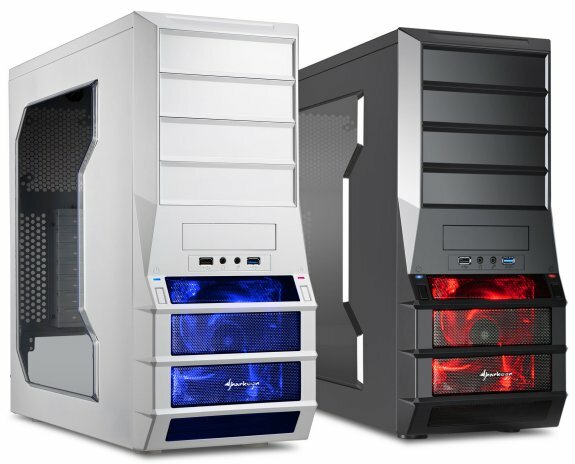 Sharkoon offers the Value Edition in two color versions: a black case with red LED front fan, and a white case with blue LED front fan. 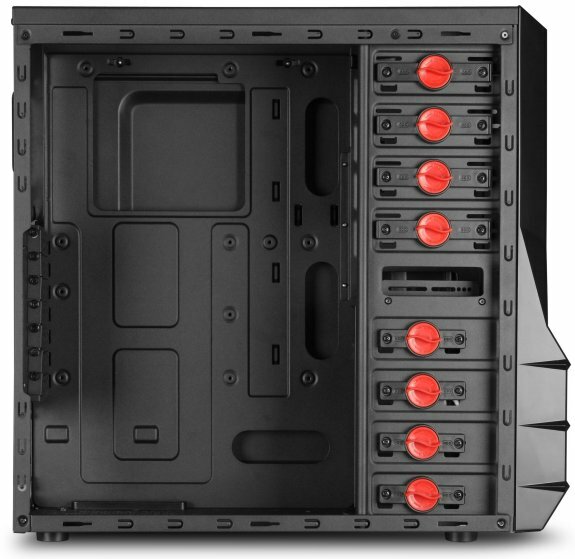 The other specifications match the Standard design: The ATX case, with black exterior and interior finish, offers room for four 5.25" hard drives, four internal 3.5" hard drives, an external 3.5" hard drive and seven extension cards. The cooling capacity of the pre-installed, red illuminating 120 mm fan on the front panel can be further supported by installing an 80, 92 or 120 mm fan to the backside. Optical drives and hard drives are secured with the practical quick-locking clamps; the main board tray is equipped with a cooler mount opening and cable feedthrough. The power supply mount is attached to the bottom of the case. USB2.0 and USB3.0 ports are located together and easily accessible with the audio terminals, Power and Reset buttons on the case front. In the backside you will find two rubber-protected feedthroughs for water cooling tubes. The Sharkoon Vaya Value measures 465 x 185 x 440 mm (L x W x H) and empty weight is 5 Kg. The case allows the installation of graphic cards up to 27 cm and power supplies up to 28.5 cm in length, and CPU coolers up to 15.5 cm in height. Shipping includes a comprehensive accessory kit and a detailed instruction manual is available on the Sharkoon website for download. After a couple of years no USB 3.0 can be for owners of existing cases for the occasion of their shift. So even some case price hike is justified.